We have combined all our web services into one convenient location to make life easier on you. 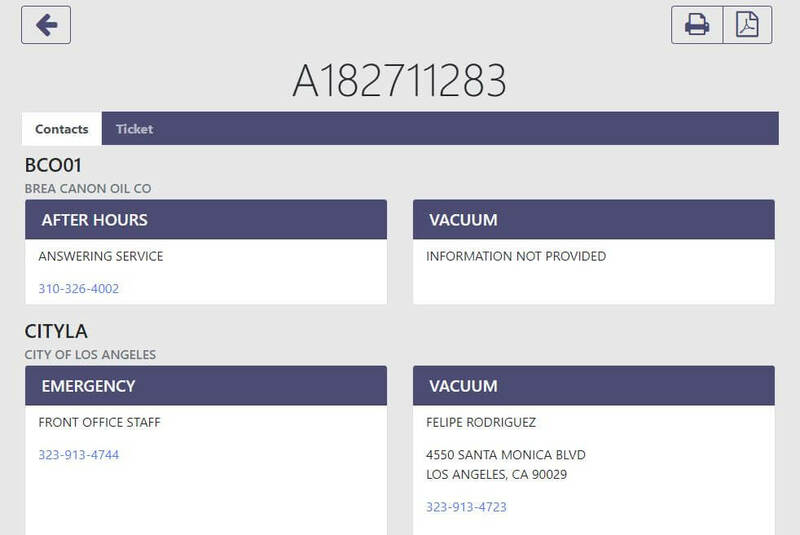 We have taken the ability to look up contacts for a dig site, input a new ticket, manage your active and expired tickets and packaged them all into one awesome location. As an Anonymous user you will have access to over 90% of the functionality of DigAlert Direct® without having to take a training class! 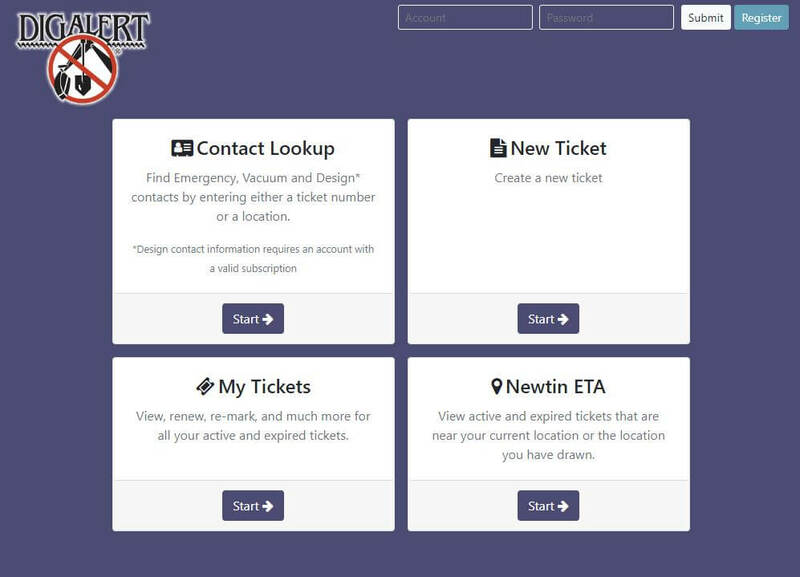 If you are doing tickets daily or managing tickets for a sub-contractor, sign up for a Direct account to gain immediate access to Ticket Profile, Alternate Company and Alternate Phone Number to simplify the ticket taking! Best part of all, it’s free and still no training required! To speed up the process even more, we added in the functionality that most of the tickets done online will receive a ticket number without having to wait for the contact center to process your ticket! How exciting is that? Make sure to follow us on Social Media for the recent news regarding DigAlert Direct! In one convenient place you can find the emergency, after hours, or vacuum contact information for the members based by a ticket number or location you have drawn! DigAlert Express meets our in-house Ticket Entry and they had a baby that we named DigAlert Direct. You now have the freedom to input more location styles from the convenience of your desktop or mobile device! 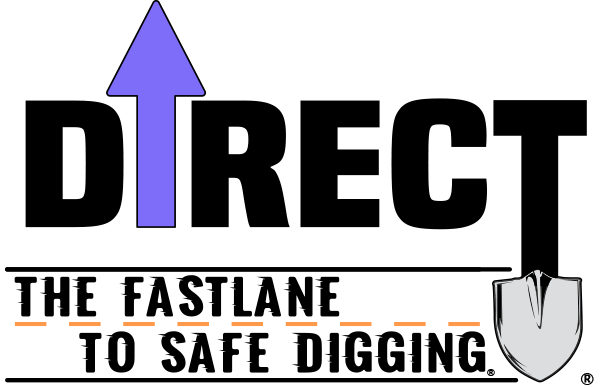 Working at a single address? We have you covered. Input a single address ticket from your mobile device. Removing multiple trees from a neighborhood? This is the match in heaven for you. You can now input a range of addresses on a ticket without the hassle of calling in to DigAlert. Installing a new fiber line that is going to extend over multiple intersecting streets? On The Street is the perfect match for you! You can now input that location that spans over multiple streets that do not exceed a one-mile increment. Installing those nifty tactile paving at multiple intersections? You guessed it, you are now covered! 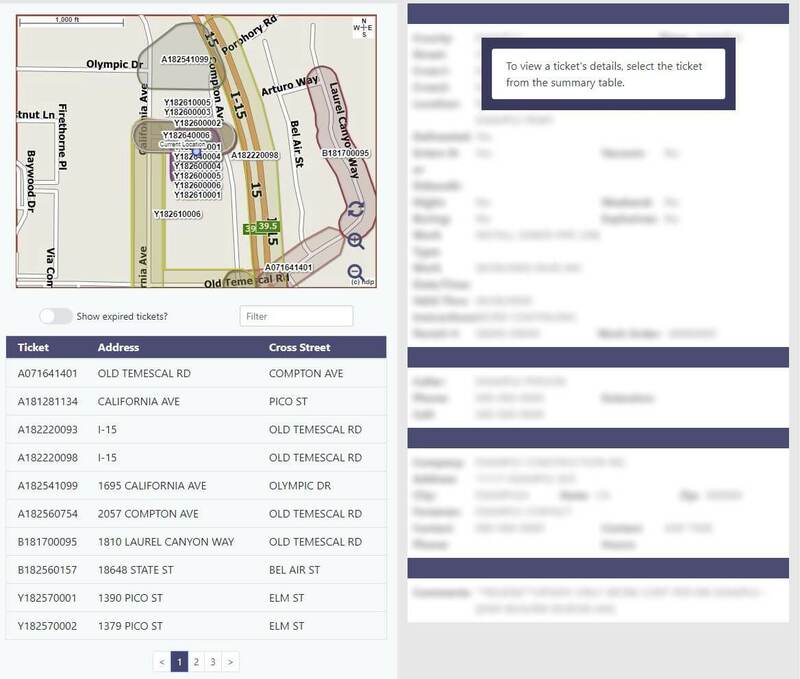 Input the ticket yourself with DigAlert Direct for a location that can over multiple intersections or corners. 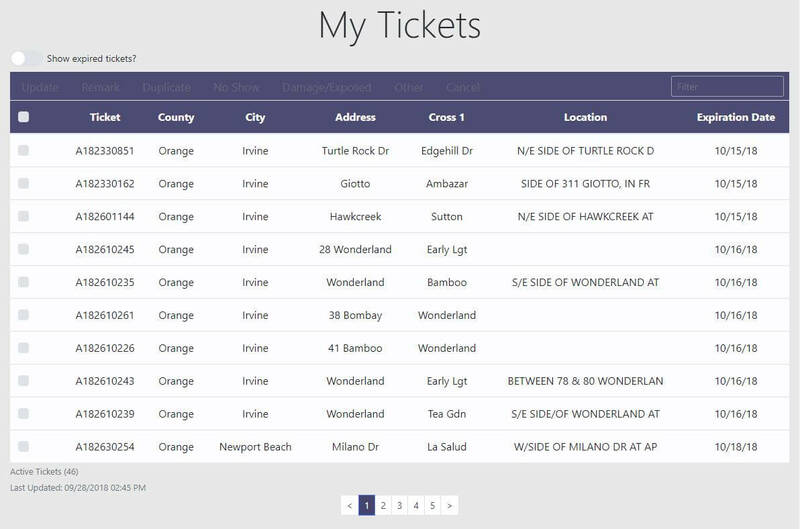 View all active and expiring tickets in one centralized location. Extend your active ticket for another 28 calendar days. Request remarks from some or all members on the ticket. 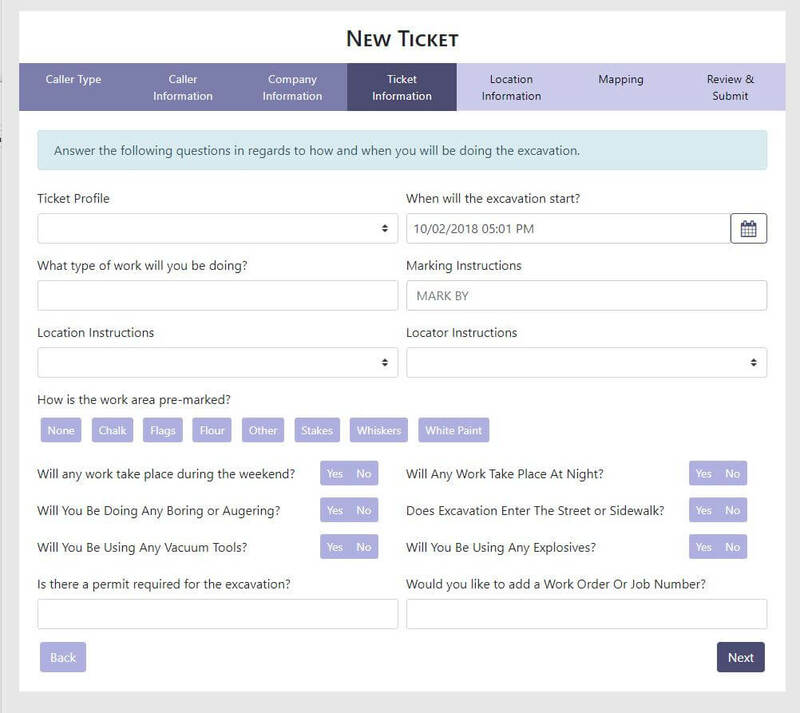 Create a new ticket using an existing ticket for a sub-contractor. Report a damaged or exposed line for your ticket. Found a mistake on your ticket? Correct that mistake by using Other. Cancel a ticket so it is no long valid. ETA is a web app that can be used on any GPS enabled smart devices such as the iPad, iPhone, or Android devices that have an internet connection. Newtin ETA displays all the active or expired DigAlert tickets within 1000 feet of your current location. Whether you are questioning why there are marks in a particular area or questioning whether a contractor has a valid ticket, Newtin ETA can lead you to the answer.